As frequent visitors to our urban wildlands and parks probably know already, coyotes are part of our city’s wildlife. They travel over considerable distances alone or in family groups, so you could actually see them anywhere (though wildlands where they can hunt gophers are probably the best bet). 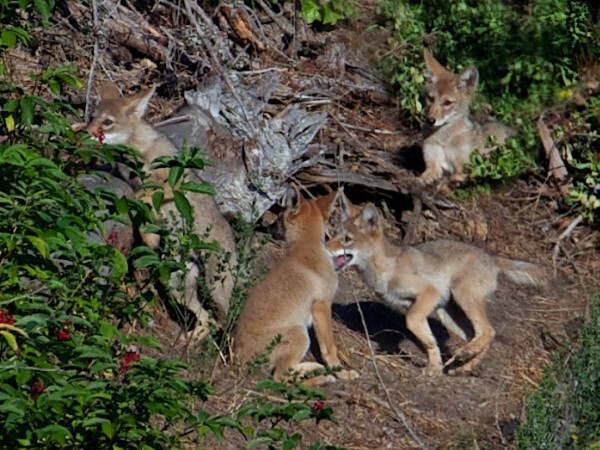 And – this is coyote pupping season. Pups have already been seen in Golden Gate Park and elsewhere. If you have specific questions or issues, you may contact them at coyotecoexistence at gmail.com for one-on-one assistance. Beautiful! Has anyone ever seen one in Sutro Forest? 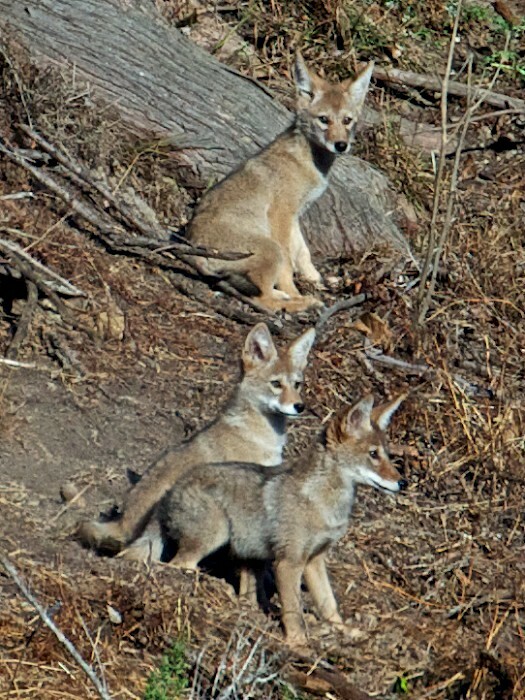 If not, wonder why… The one I saw recently in the Canyon was older than these little guys.